MSK-SFM-14 is a heavy duty roller mill, capable of crushing, grinding, dispersing metallic, non-metallic and organic material powders. 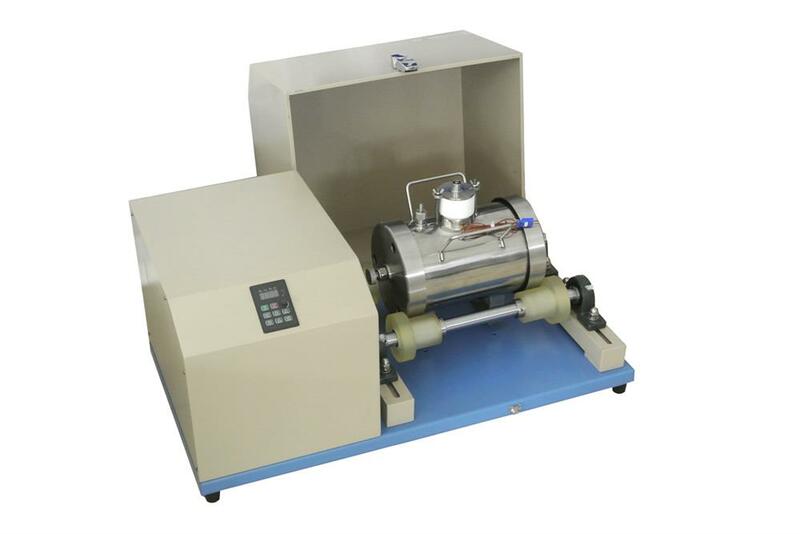 Powders can be quickly ground, sheared, pressed and impacted down to a smaller size by extremely high centrifugal forces of planetary balls. 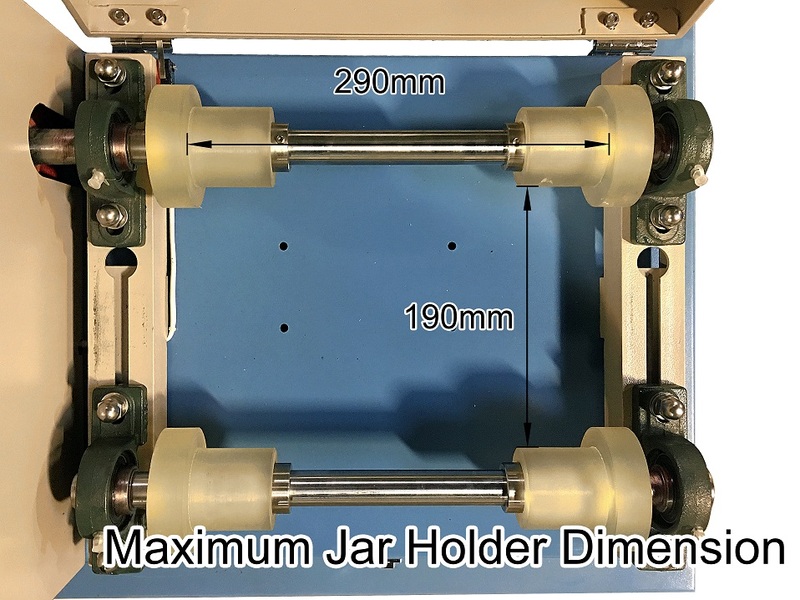 The compact body permits the use in a limit space in a laboratory. 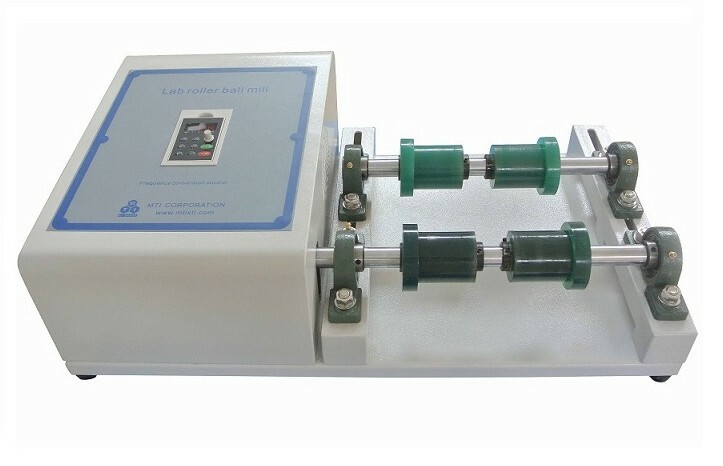 The simple control interface allows user to customize the milling process by changing the milling speed and milling orientation easily. The milling process becomes more flexible if using the multiple segments milling function. 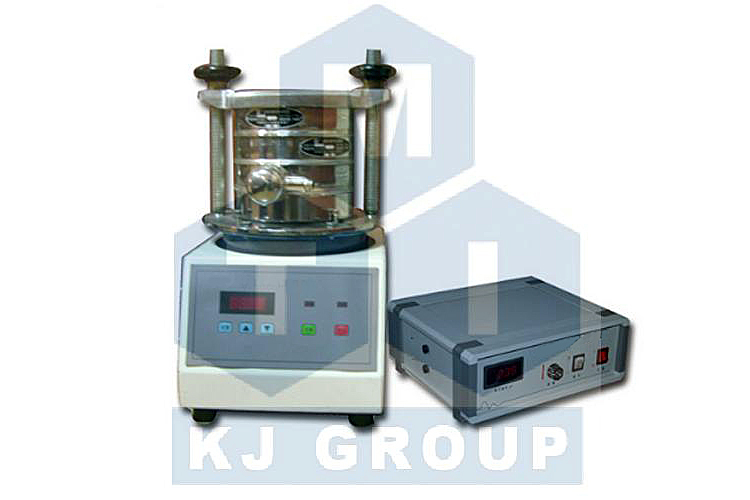 An optional large stainless steel (up to 2 liters) and another optional liquid nitrogen coolable grinding jar are selectable to extend your milling process, enabling the milling with larger amount samples or at low temperature. 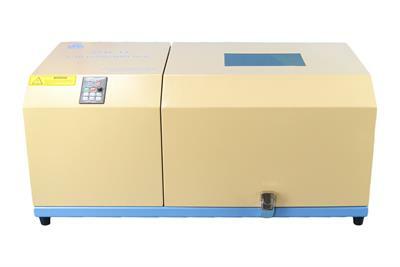 Input voltage: 208 - 240VAC, 50/60Hz, single phase. A solid steel frame with safety cover and observe window. The space of two rollers and driving wheels length are adjustable. 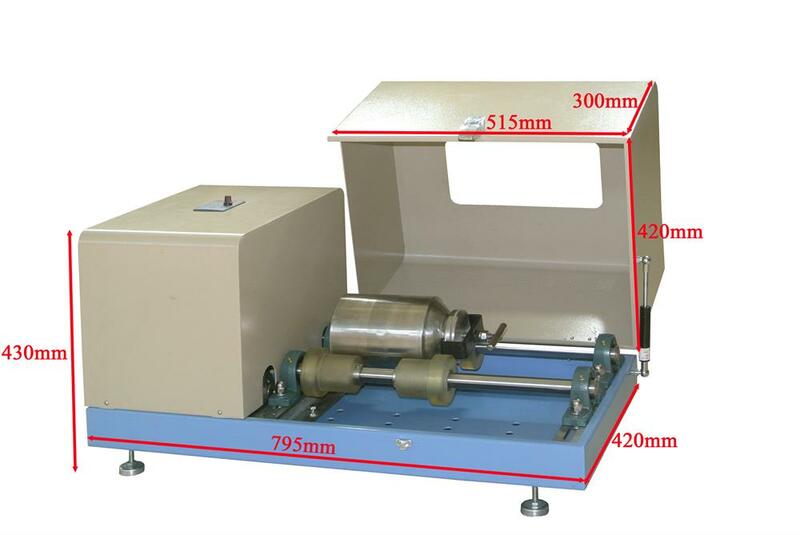 With the cover closed, the roller can hold milling tank with 135~290 mm in length, and 110~190 mm in diameter. With the cover open and safety lock sensor deactivated, the roller can hold milling tank up 300mm diameter. 2 liters stainless steel jar shown in the picture below-center is available in the option bar. One group of stainless-steel milling balls (not included, ten sets (20 pcs/set) with sizes from 6-20mm in diameter). Please click link below to choose various milling balls at extra cost. 10 ~ 70 um (200~1000 mesh). < 5 mm (depending on feed material). 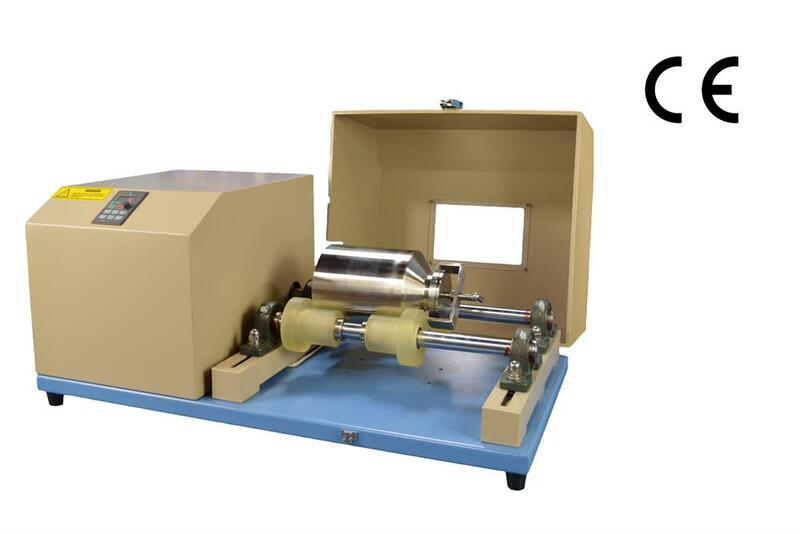 You may consider to put this roller mill into our glove box: EQ-VGB-3 to grind materials that need extra attentation. 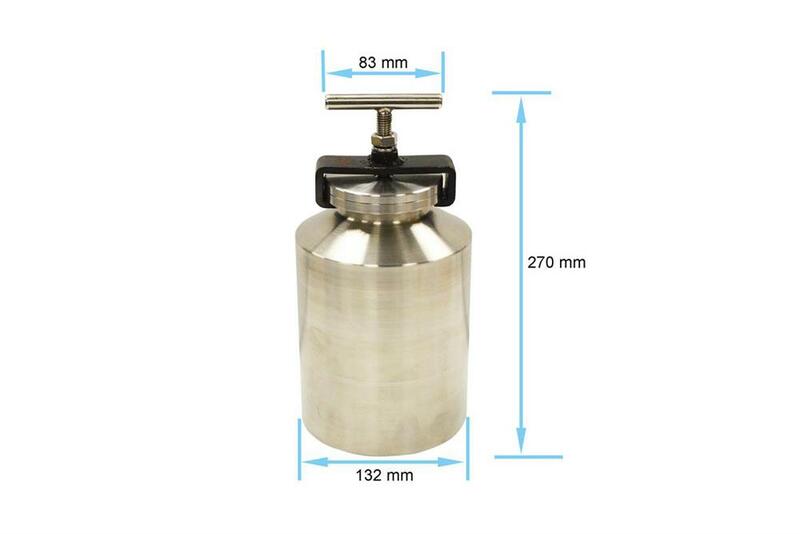 New liquid nitrogen grinding jar is available at extra cost. 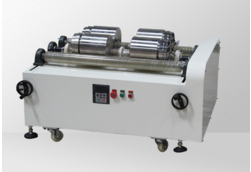 Please consider our SYU-3 ultrasonic filtration system to filter the product. Two years limited warranty with lifetime technical support. 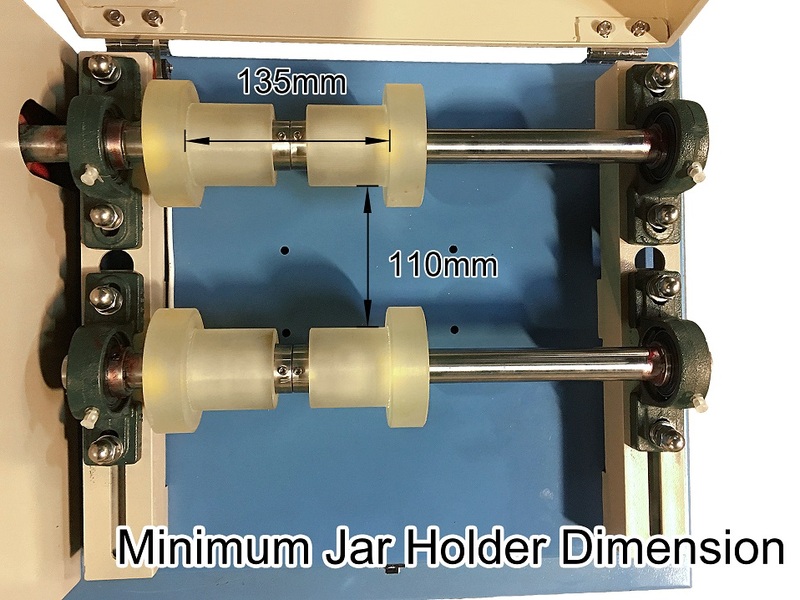 Product Dimensions 800 × 430 × 360 mm (L × W × H).